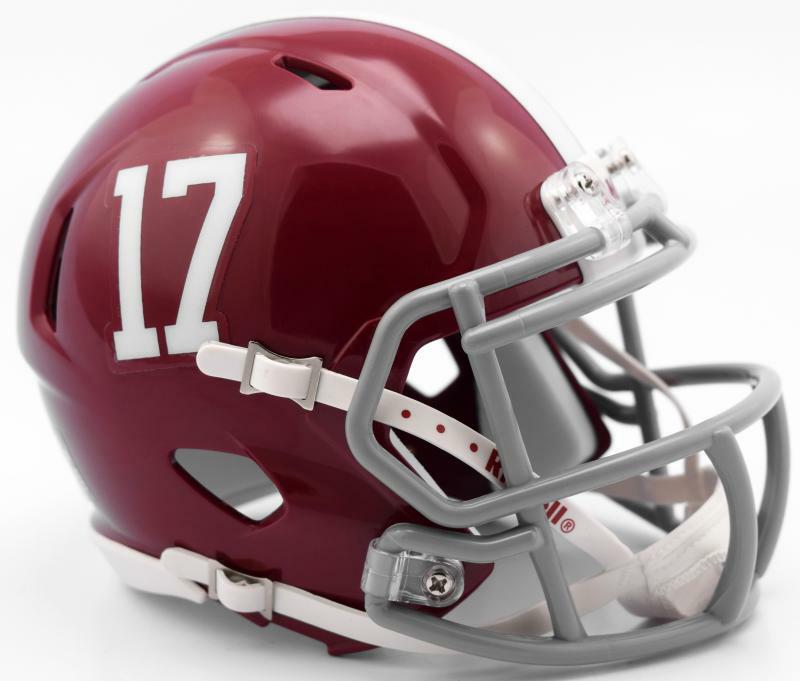 Alabama Crimson Tide #17 College Speed Helmet by Riddell - Login for SALE Price | Sports Memorabilia! Alabama Crimson Tide #17 College Speed Authentic Helmet by Riddell. Each Alabama Speed Authentic helmet features a very distinctive, aggressive shell design, large size shell, special order facemask and four point chin-strap. All Speed helmets come with official team colors and decals. Comes with a no-use bar, per college regulations.